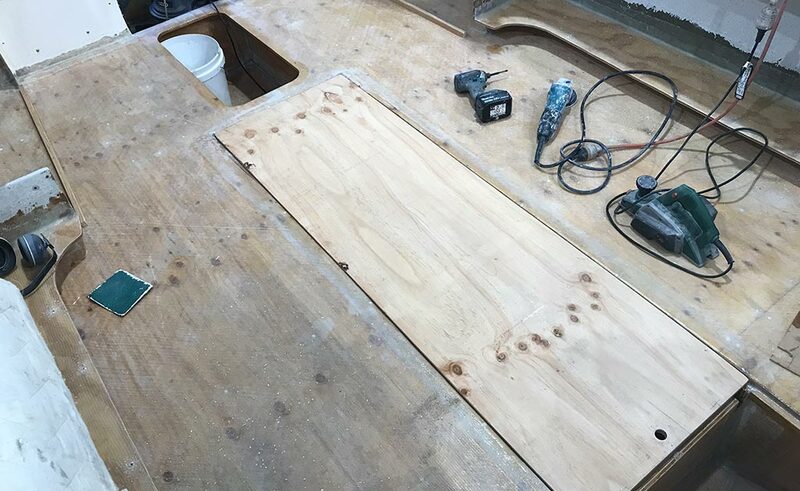 You may recognize this boat from past posts, we replaced the transom in this one just over 12 months ago. When doing the transom the stringers in this area weren’t the best but they hardened up forward of the transom. The ends of the stringers were treated with epoxy however the owner discovered serious problems with them one day when cleaning the boat. Upon further investigation both main stringers either side of the fuel tank were completely rotted. The owner called us for advice and decided to begin chasing back the rotted parts himself with our guidance. The further he looked the more he found, to the point where he gutted the hull! We decided to leave the outer stringers in place to leave some hull support for the delivery to our shop. Once in our care we began the rebuild. Step one was to jack the hull off the trailer and block it up to keep the hull straight and true. Leaving the side stringers in until the main stringers were installed helped with this. All new parts were epoxy coated, bonded and glassed in with epoxy so that this will never happen again. 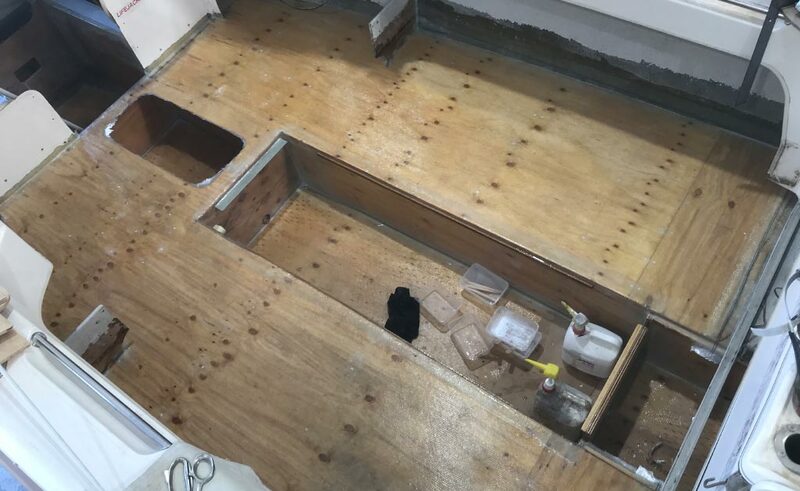 Once the new stringers and internals were installed, the new floor went in followed by new side pockets and floorboards with supports etc. 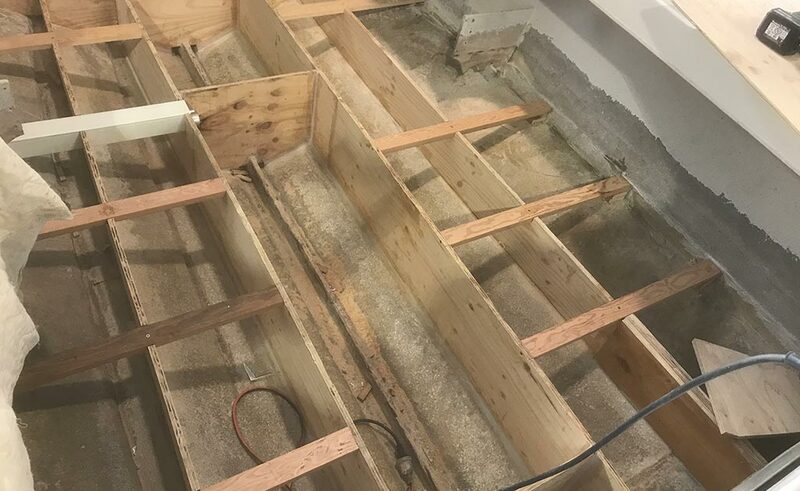 The owner took his newly reinforced boat away with the knowledge that all his main structure was in better condition than new. He has since reported back that he has fully tested the boat on a recent holiday where he fished offshore for several days and the boat performed great.